Being Frugal and Making It Work: Valentine's Day Shop Deals: Earn Double Cash Back! 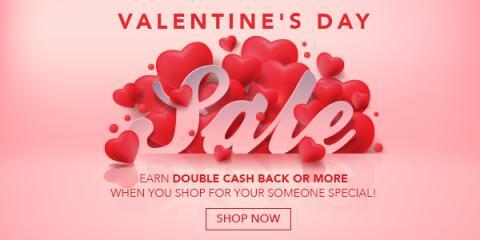 Valentine's Day Shop Deals: Earn Double Cash Back! Valentine's Day is less than a week away. Are you still looking for the perfect gift to get that special person in your life? Do your Valentine's Day shopping through Swagbucks and get cash back for all your purchases! What are you giving your special someone this Valentine's Day? Nike Bonus Days are Back!